Apple M, Author at Basset Heating & Air Conditioning Inc. Apple M, Author at Basset Heating & Air Conditioning Inc.
Central air conditioning installation cost can be $4000 – $5000. May be you can get more cheap way too but there can be a reason to do it for cheap. Check it if they are licensed or not. There can be some other reasons too like quality of work. Summertime in Colorado Springs can bring thunderstorms, lightning and hot weather to the Pikes Peak region. Although 90 degree heat isn’t common in the area, there are days when you wish your home had central air conditioning….. Many homes in the area are not equipped with this luxury. So we are often asked ” how much does central ac cost? ” to install in a home. Homes with a central air conditioning system installed bring comfort to those inside during the hot days of summer. Due to the high altitude in Colorado Springs, the sun is more intense and can cause a home without central AC to feel rather uncomfortable during the warmer months, even during 75 degree days. 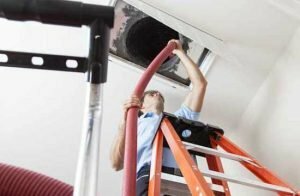 A properly sized and professionally installed AC system will maintain comfortable temperatures inside the home, even during those rare triple digit heat waves that sometimes occur here in southern Colorado. Think about this: Homeowners without central AC in their home will often leave windows open during the summer months in an effort to help keep the house cooler. Not very effective. And open windows are an invitation to burglars that your home is an easy target for their ill intentions. In fact, burglars target homes with open windows or even window type air conditioners for easy access into the home. So not only will central AC help make your home comfortable, it’ll also add a layer of protection from home burglary. How much does central ac cost? There are many factors involved when determining the cost of installing central AC in a home. Brand, size of the unit and location of the indoor furnace or air handler will affect these costs. Other factors include the existing electrical panel in the home. (Some older homes require a panel upgrade or a sub panel to be installed to meet the electrical requirements of adding a new circuit for the AC). Most all newer homes constructed after 2000 will have a large enough electrical panel. Adding central AC to your home is an investment. Like any investment, you basically get what you pay for. Poorly installed, a new central AC system is a poor investment. Professionally and properly installed, a new central AC system will add value to your home and provide years of comfort to those living inside the home. Keep in mind that the quality of the installation has as much to do with (if not more so) than the brand or cost of the installation. This is why it is important to choose the right contractor for the job. 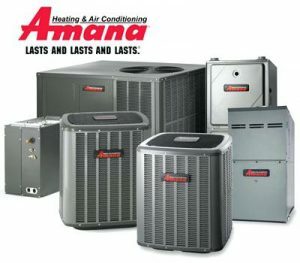 Typically, you can expect to pay between $4,000-5000 to have a quality central AC system installed in your home. People often ask us how much does a central ac cost? You can always find a contractor willing to do it for less. But beware! If the price is too low, there’s probably a reason for this. Are they licensed? Are they cutting corners? Are they pulling the required permits? 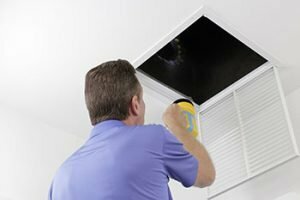 All too often I’ve come across poorly installed AC systems where the installing contractor is no longer in business, and in the long run, the homeowner ends up paying more to have the system flaws corrected. 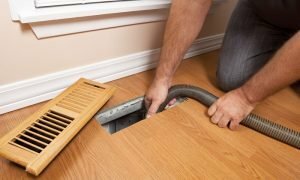 At Basset Heating & Air Conditioning Inc., we take the necessary steps to ensure your new system will provide years of trouble free operation by performing a quality installation and the proper start up procedures. So, how much does central ac cost? In the end, it’s up to you. You can shop around for the “best” price. And you’ll likely get what you pay for. 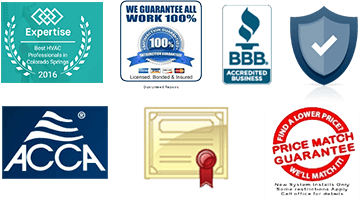 If you’d like to get a free quote on installing central air conditioning in your home in Colorado Springs, please fill out our form here and request a quote. Our friendly staff will contact you to schedule a free, no pressure, no obligation appointment. We offer affordable service for all budgets.